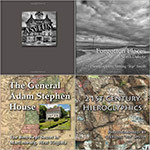 I am excited to announce that my “Forgotten Places: North Dakota” project has been accepted by Kickstarter.com to be listed on their web site for funding. If you’ve read anything that I have written (See blog entries below) about my photography experience in North Dakota, you know that I was truly inspired by the place and that I am anxious to return. My intention is to return at least twice in the next year. The first trip is being planned for this September, and then a follow-up trip next spring. I will then work with the accumulated images from the three trips and pick the best for a book and an exhibit. I doubt I need to tell you that traveling from West Virginia to North Dakota, spending 1-3 weeks, and returning is an expensive proposition. Just to be clear, this is not a matter that I am just asking for money. For levels of support as little as $10 I intend to deliver value in return for the support in the form of fine exhibit-quality prints, limited edition books, and limited edition portfolios. In addition, the $3,500 that I hope to raise through Kickstarter will ultimately be matched by at least an equivalent amount of my own funds. Also, all supporters you will receive updates on the progress of the project, including updates from the field as I am traveling. In nearly 50 years of doing photography off and on, I have never been inspired to do a project on this level. 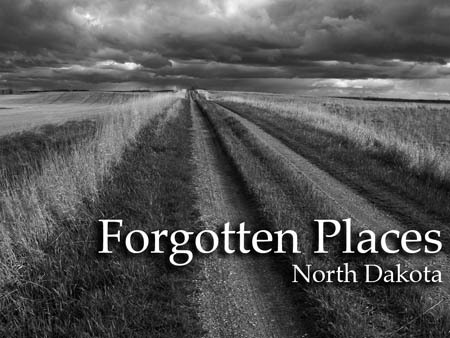 Please follow this link and read about "Forgotten Places: North Dakota" project at kickstarter.com and see if you are inspired to support this project. ~ by Admin2 on June 24, 2010.